Kiev (AFP) - A historic council of Orthodox bishops in Kiev has created a new Ukrainian church independent from Russia, President Petro Poroshenko announced on Saturday. 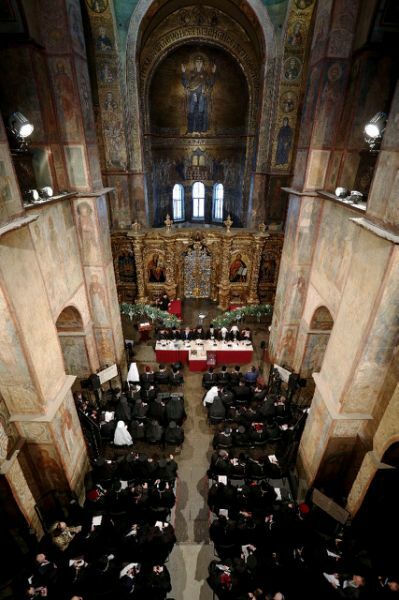 The announcement came after Ukrainian priests held a historic synod in Kiev's 11th-century Saint Sophia Cathedral to work towards establishing an Orthodox church independent from Moscow. "It happened," Poroshenko told a crowd awaiting the council's decision in central Kiev. He also announced the council had chosen the head of the new church: 39-year-old Metropolitan Yepifaniy, whose secular name is Sergiy Dumenko. 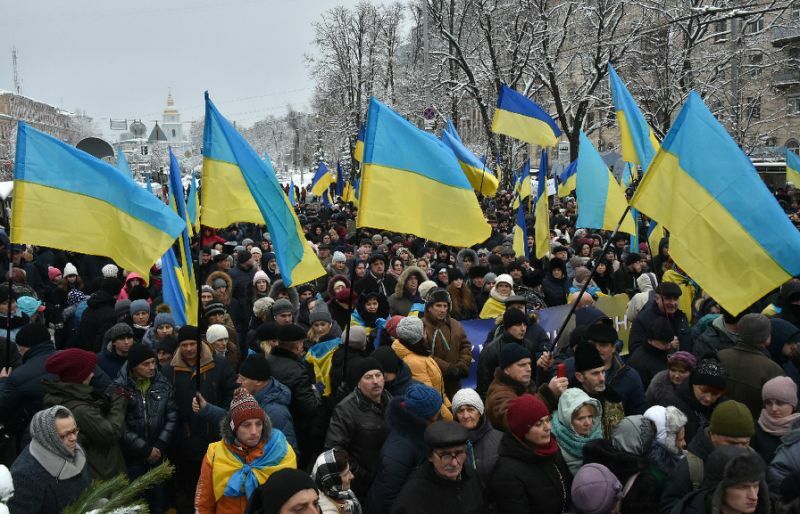 "I would like to call on all our brothers, bishops and all believers to the newly created united Ukrainian Orthodox Church," Yepifaniy told the crowd outside the cathedral. "The doors of our church are open to all." Poroshenko said the event will "go down in history" as the day Ukraine "finally received (its) independence form Russia". Earlier, he addressed the synod of bishops, saying Kiev's national security depends on "spiritual independence" from Moscow. The Ukrainian leader, who has made an independent Church a campaign pledge ahead of an unpredictable election next year, told the bishops that the state "did everything it could" towards the creation of the church. "I guarantee that the government will respect the choice of those" remaining faithful to the Moscow patriarchate, and "protect" those preferring to break away, Poroshenko said. Several thousand Ukrainians had rallied outside the cathedral throughout the day, awaiting the synod's decision. "The people have been waiting for this. 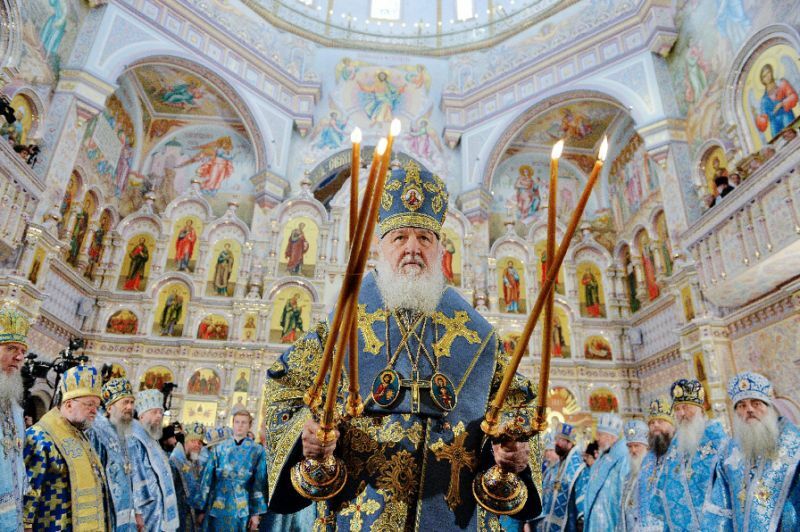 Our Ukrainian church should finally be independent from Moscow," 65-year-old Mykhaylo Khalepyk, who travelled to Kiev from the southern Kherson region, told AFP. Vitaliya Popovych, also at the rally, said she hoped Ukraine would have a new independent church "that will have a pro-state position". The synod sought to realise a landmark decision by Istanbul-based Ecumenical Patriarch Bartholomew I to recognise Ukraine's independence from the Russian Orthodox Church. But Ukraine's Moscow-loyal church said it would snub the event and banned its priests from going to the synod. 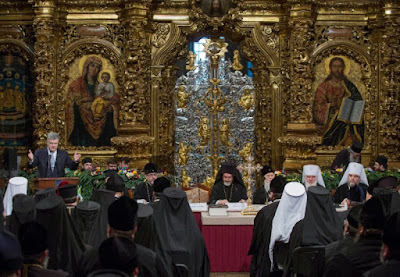 Despite that ban, a cleric of the church, Archbishop Kliment, told AFP he had recognised two bishops from the Moscow patriarchy in a photograph from the synod. The meeting was dominated by the Ukrainian Orthodox Church of the Kiev Patriarchate, the country's largest branch by number of believers. Its leader, Patriarch Filaret, founded the church after the fall of the Soviet Union, but it remained unrecognised by other Orthodox churches until recently. Vladimir Legoida, a spokesman for the Moscow church, told Russian state television the Kiev synod had "no church, religious or evangelical meaning" and that it will have "no canonical consequences". Ukraine's SBU security service warned this week that Russia was planning to stage "provocations" in the country as the clerics were meeting. The SBU's deputy head Viktor Kononenko asked Ukrainians to "refrain from holding any (political) gatherings during this period" to avoid them being "used by the aggressor to weaken or discredit our country". 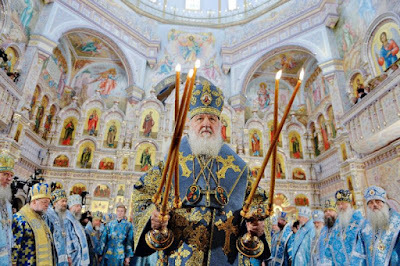 Ahead of the council, Russia's Patriarch Kirill appealed to the Pope, the United Nations and others in the West to defend his church in Ukraine from "persecution". 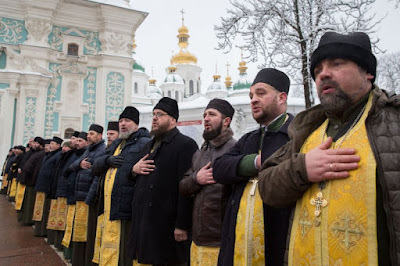 Kiev officials have framed the Church issue as one of national security, with Poroshenko in the past referring to the branch loyal to the Moscow Patriarchate as a "threat". The synod comes shortly after a fresh crisis that saw Russia seize three Ukrainian navy ships and arrest 24 sailors in the waters around Crimea.